Skye Gravestones | Effie (Macintosh) Macphee. 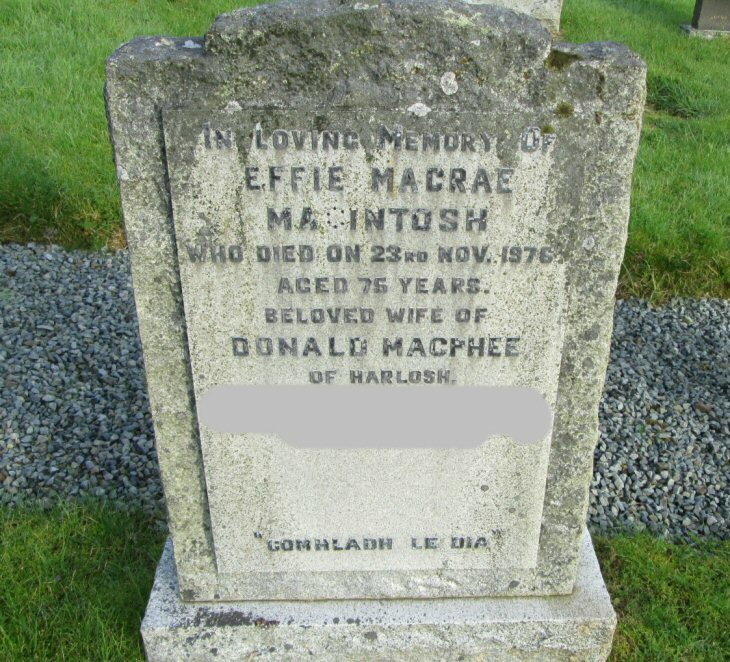 In loving memory of/EFFIE MACRAE/MACINTOSH/who died on 23rd Nov. 1976/aged 75 years/beloved wife of/DONALD MACPHEE/of Harlosh/["recent"]. This is my grandparent’s grave. Their son was my father, Angus MacPhee. The stone is in need of repair. Added by Sheena MacPhee on 24 May 2018.